The Celtics return home from an 0-3 road trip to face the East's top team, the Toronto Raptors. This is the 3rd game of a 4 game series this season. The Raptors won the first game 113-101 in Toronto on 10/19 while the Celtics won the second game in Boston 123-116 on November 16. In the last 5 seasons, Toronto is 14-8 versus the Celtics and haven't lost the season series between them since the 2012-13 season. Toronto leads the east and are 1.5 games ahead of 2nd place Milwaukee and 7 games ahead of Boston. The Raptors are 15-8 on the road while the Celtics are 15-5 at home. The Raptors have won their last 5 games while the Celtics are on a 3 game losing streak. Both teams are dealing with some injuries. Kyrie Irving missed Monday's game with a quad injury but as of now is not on the injury list for this game. Aron Baynes has been out with a hand injury since December 19, but has been upgraded to questionable for this game. Marcus Smart missed Monday's game with an injury and is questionable for this game. I'm thinking positive and have him in the starting lineup for now until he is ruled out. The Raptors are dealing with some injury troubles of their own. Their starting center, Jonas Valanciunas, has been sidelined with a thumb injury since December 12 and will miss this game. OG Anunoby is listed as out for personal reasons. CJ Miles (hip) and Fred VanVleet (thigh) are both listed as questionable for this game. Leonard has been playing very well for the Raptors, averaging 27.5 points, 8.0 rebounds, 3.2 assists and 1.9 steals per game. He had 31 points and 15 rebounds in the last game between these two teams. He is also a very good defender and Tatum will have his hands full on both ends of the court as he tries to slow Leonard down. Lowry has given the Celtics problems in the past and so they need to pay particular attention to slowing him down. He is averaging 14.0 points, 4.3 rebounds, 9.6 assists and 1.5 steals. Lowry leads the team with 13 double doubles and is second in the league with 9.6 assists per game. Hopefully Kyrie is 100% as he will need to be to deal with Lowry. 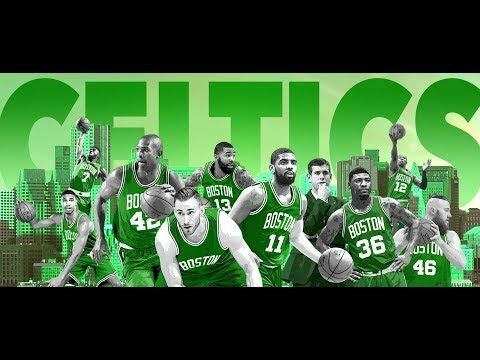 The Celtics have talented players on the bench that are capable of putting up 70 points in a game but they have been struggling somewhat in recent games. The Raptors have a strong bench, although injuries have cut into it somewhat. The Celtics need their reserves to come in and play with a sense of urgency they haven't always shown. Defense has always been and always will be the key to winning. The Celtics have let their defense slip some recently and have dropped to 5th in the league with a defensive rating of 104.6. The Raptors are 9th with a defensive rating of 106.9. The Celtics need to play particularly tough defense against the Raptors since they are a good scoring team, averaging 114.0 points per game and are capable of putting up a lot of points in a hurry. If Marcus Smart can't play, they will miss his defense but the rest of the team must step up and play tough team defense whether he plays or not. The Celtics must be the more aggressive team. They have to be aggressive on defense, in going after loose balls, in crashing the boards, and just all around going all out. They have to aggressively attack the basket. They need to start the game with that aggressive attitude and be aggressive through the whole game with no let up. Their only hope to win is for every player to play their hardest and to play harder than the Raptors. The Celtics must crash the boards. They can't score if they don't have the ball. Much of rebounding is effort and desire, and the Celtics have lacked both in many games this season. The Celtics have to be the team that puts out more effort from every player to go after rebounds. The Celtics are averaging 45.0 rebounds per game while the Raptors average 45.3 rebounds per game. The Celtics have to crash the boards and beat the Raptors to the rebounds if they want to get a win. The Celtics have been snipping at each other after the past 3 games. Morris and Brown got into a shouting and shoving match. Kyrie blased the young guys and Brown seemingly came back at him. And Kyrie shouted at Hayward after he didn't get the ball on the last play against Orlando. They have to put all that behind them and get on the same page and play as a team, make the extra pass, and have each others' backs. Now is not the time to splinter but they have to pull together and make it us against the world rather than against each other. Both seemed to be missing on their recent road trip. They missed free throws, which is often the lack of focus. They let the other players beat them to rebounds and to loose balls. They need to get back to scrapping the entire game and playing with heart and grit and not let up. They gave effort for about 6 minutes against Orlando and almost pulled out the win. They need to give that kind of effort on both ends of the court for the entire 48 minutes. Home Again - The first game home after a road trip is sometimes one of the hardest. 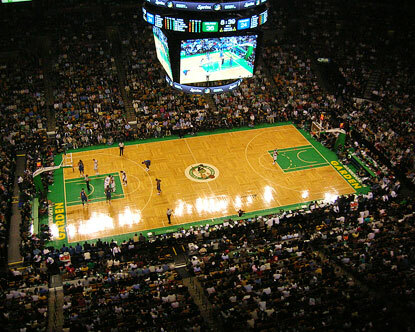 The Celtics need to stay focused and use the crowd to give them added energy to pick up their game and get the win. They have to be extra motivated to protect home court and stay focused on playing their hardest. Effort and Focus - Both seemed to be missing on their recent road trip. They missed free throws, which is often the lack of focus. They let their opponents beat them to rebounds and to loose balls. They need to get back to scrapping the entire game and playing with heart and grit and not let up. They gave effort for about 6 minutes against Orlando and almost pulled out the win. They need to give that kind of effort on both ends of the court for the entire 48 minutes. TP to tarheelsxxiii for being the first to post in the game thread! If we can't get up for this game I don't know what to say. I hope for and expect a high level assault on Toronto. we are currently 5-3 against the Bucks, Raps and Sixers and Pacers this season. We win this we are 6-3. That is the only thing that is keeping me somewhat optimistic about this season. I'm already feeling bad about this game, thinking about the raptors killing us at home, illustrating how great they're doing as the Celtics continue to flounder. Which, given how this season has gone, means the Celts will win. is Smart and Irving still out? Excited for this one. C's need to get their mojo back, and a win vs. the Raptors can do just that. Brad Stevens tells @ZoandBertrand that he expects Marcus Smart and Aron Baynes to be available to play tonight. He's not sure if Baynes will be on a minutes limit.